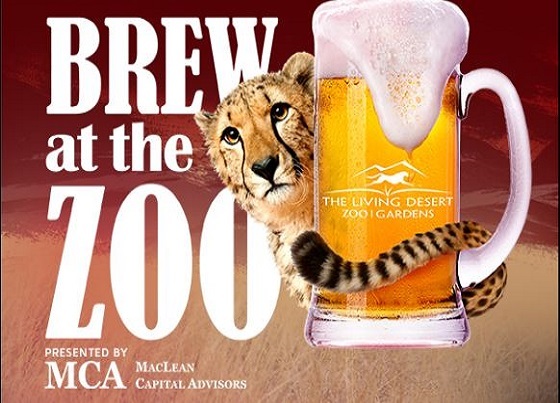 Join us Saturday, April 1st for our Eighth Annual Brew at the Zoo Event. 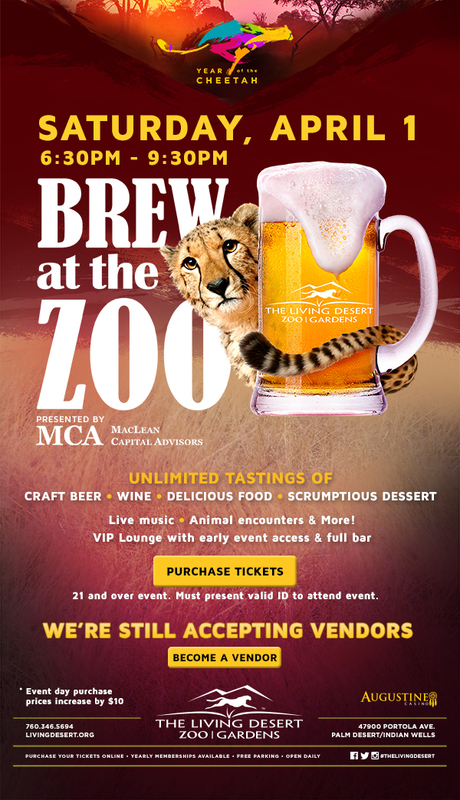 Craft beer fans will love the selection of tastings from some of the finest specialty brews around. In addition to beer, there are also will be plenty of other libations, including premium wines and non-alcoholic beverages. Attendees will enjoy a culinary adventure of tasty dishes and desserts from some of the Coachella Valley’s top restaurants and caterers. The evening also includes entertainment with several live music stages throughout the grounds. New this year, the African section of the park will be open for guests to explore and see animals such as zebras, cheetahs, and oryx. Tickets are now on sale!